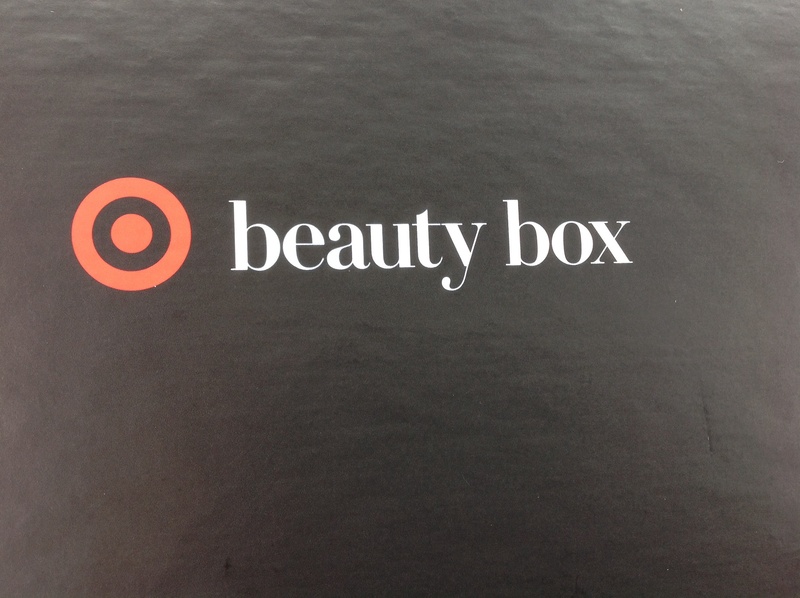 Target Beauty Box seems to come out every few months and is not a subscription. You just have to be fast enough to get in on the deal when it posts. The boxes cost $5 to $7 and include shipping. This time around they had a Men’s version of the box so I decided to get it as well! I recall the marketing for this product to be on the for Father’s Day vibe. If my dad were alive I think he would not be very into the products included but maybe a younger dad might. These boxes are surprisingly nice! Right when I opened the plastic I could smell the scent of man products. 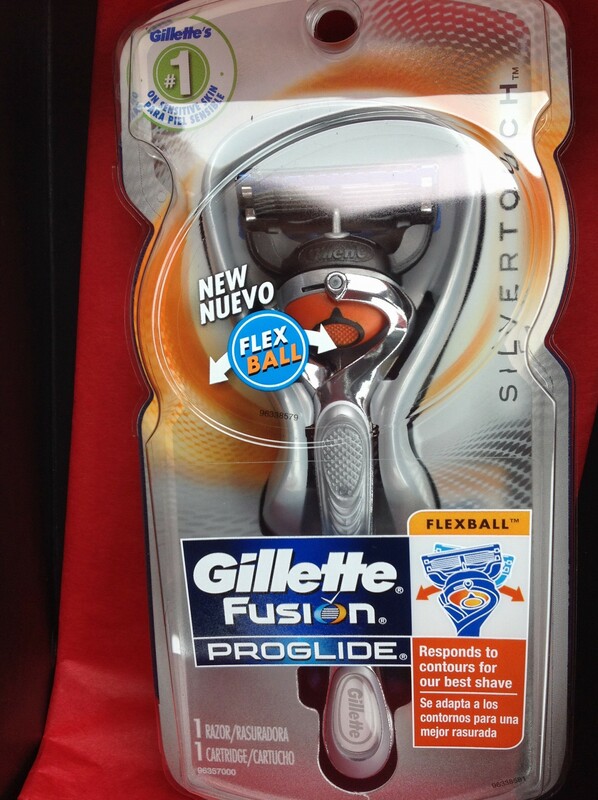 Gillette – Fusion ProGlide Razor: I felt this was worth the cost of the box itself because who can’t use a sharp razor with FIVE blades?!? Why, if we were all to just stop grooming our mammal fur society would fall back into the dark ages. This has become clear to me given that this month has been the month of the razor in subscription box land. Men seem to love this razor. I remember when TWO blades was out of this world! Now they have FIVE?!? I thought when they came out of the three blade model it would be the end of the madness. Nope. Ok, I am starting to get the hint. I just thought my hairy legs added character! 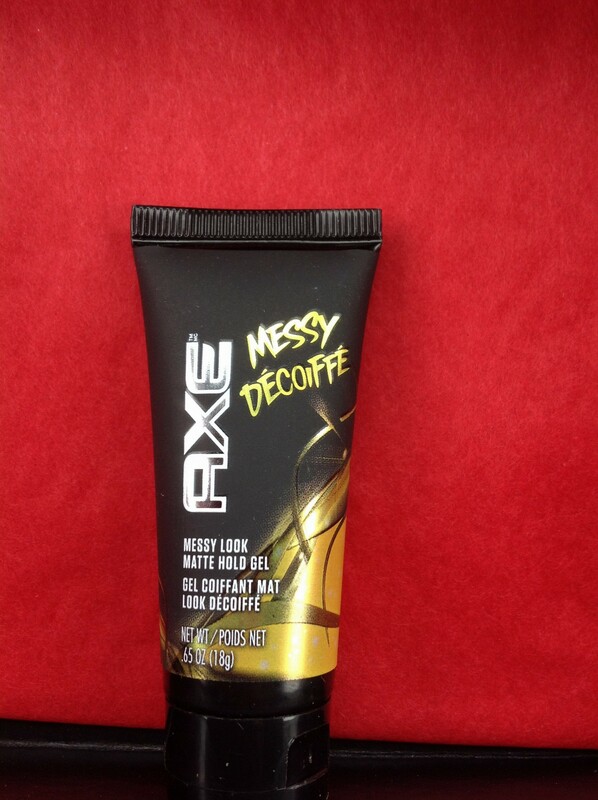 Axe – Styling Messy Look Gel: So guys are just like women in that they have to do a little work in order to get that “just got out of bed” look. I think this is more of a younger guy product because it has a very heavy scent. I think teens would love this. Ever notice how bad teenagers smell? No? Go walk into Abercrombie and Fitch and then you will know. They smell awful. I think it is hormones. Anyway this would be good to cover that up I guess. Why didn’t my parents tell me how bad I smelled as a teen? 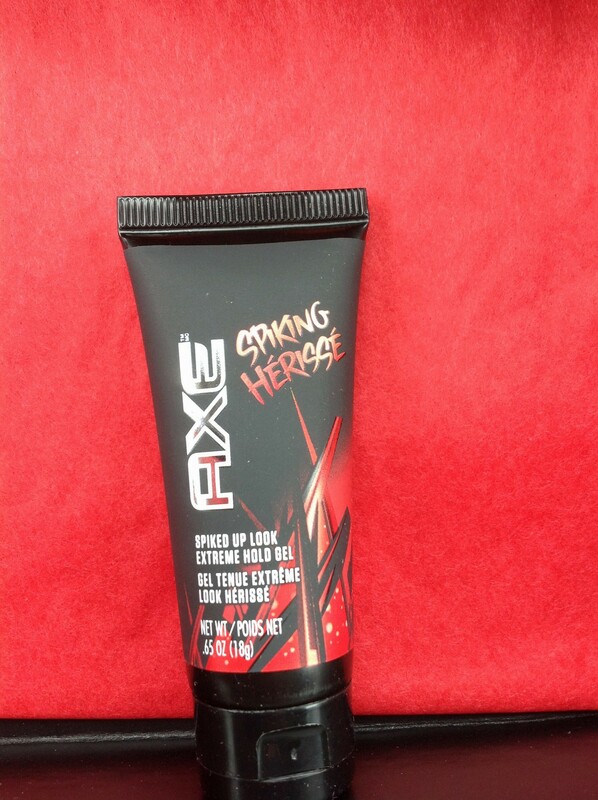 Axe – Styling Spiked Up Extra Hold Gel: Again, this product is heavily scented. I believe it was the Axe products that made the box have the scent of man. This product feels like it might actually deliver on the promise of hold without the crunch. I think Axe should consider putting better directions on their hair products. They have the same directions for both products and I can see a teen or a guy just getting into products wondering what the hell to do. Rumor is you open up another dimension when you use both Axe products at once! 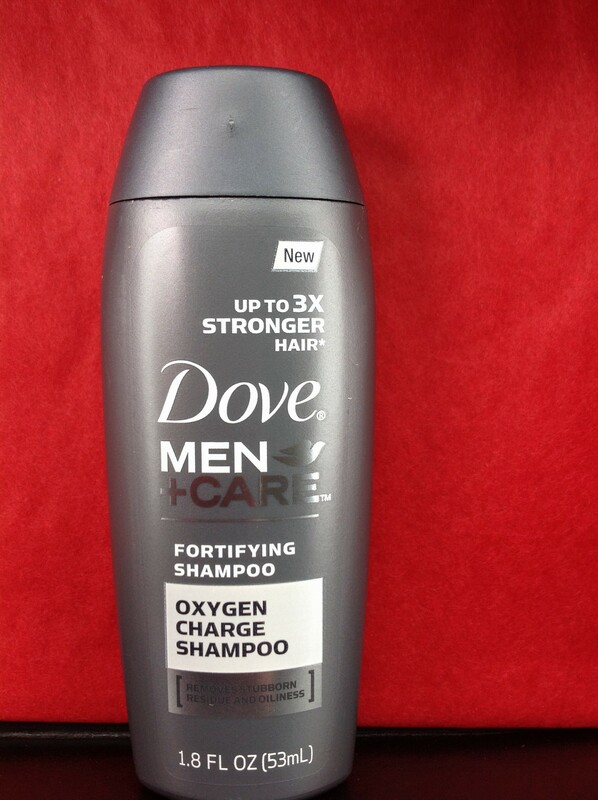 Dove Men + Care – Oxygen Charge Shampoo: I actually dig the smell of this shampoo and think it is a good thing for a guy to have on hand for travel. It actually makes hair stronger which some guys might like in case they ever have to settle a bet by using their hair in feats of strength. It could happen. Provides “scalp refreshment” which sounds like a “scalp mimosa” to me! Joking aside these things really do help with bad breath! A nice tongue brushing gets rid of a lot of bacteria ridden leftovers your mouth just wants to hold on to. I find this a useful and hilarious item. 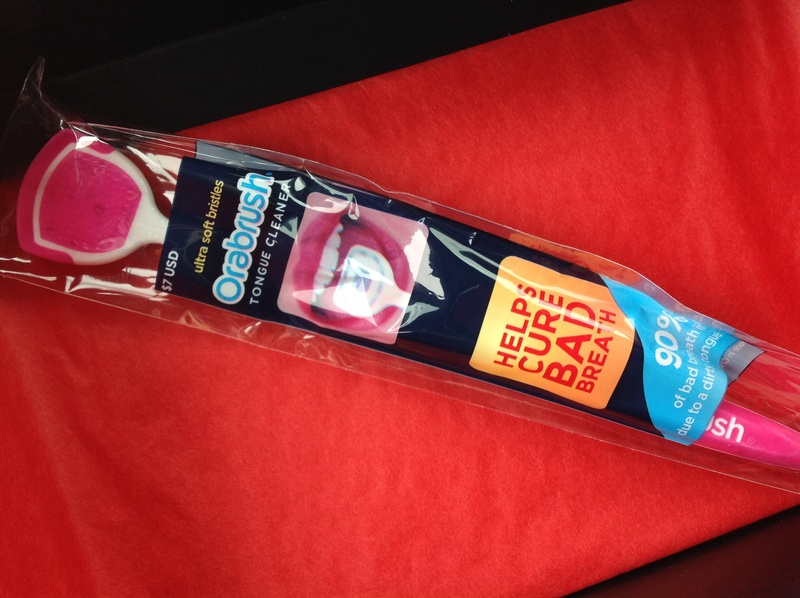 Do you think if Marcia Brady had this she would have brushed her tongue a hundred times? Verdict: This box has some useful items and is worth the money spent. I am not sure I would give this as a gift without some sort of disclaimer. It was worth the $5 and would be nice for a younger man but not so much a sophisticated gentleman who drinks fine scotch and owns a pocket watch. My 16 year old loves this box. He mainly wanted it for the razor and Axe. I hate all Axe products. I believe it can open up other dimensions especially if sprayed a lot in l teen’s room. We won’t discuss how bad the car smells when transporting teen boys after cross country camp on a hot summer day. Gross. Love the Marcia reference. I’m totally putting it in my next box to you lol. Sorry in advance. Teems smell so awful I can’t even imagine your pain. I was probably really smelly so I can’t act like I’m special but still, wow. I honestly wouldn’t be able to drive them a block without losing my mind. That’s how I felt last summer. It starts up again tomorrow. Yuck! I hope I smelled OK as a teen most of the time except during sports. He’ll be appreciate of the Axe. Can you believe he likes the tongue scraper? He received a blue one. No I cannot see anyone liking the tongue scraper lol It to me is a tool for someone who was told to buy it or is really into their mouth being super fresh. I tried to get my cat to use it but she is not having it! my 20 yo and 17 yo sons dislike Axe, now wear Dolce and Gabbana and Versace, they got with their holiday ca $ h. Hello Ross dress for less! I love Ross and TJ Maxx! I’m always surprised at the brands they have! I love Ross and TJ Maxx too. My son isn’t opened to other brands yet. He’s tried out different items in BirchBox and likes a few of their brands, but not fragrances. Do you remember the scents that were popular when we were teens? I remember liking CK LOL I hardly wear scents. I honestly forget to a lot of the time. I am always rushing in the morning!